Mychael Danna was one of the guest of honour at the last World Soundtrack Awards. Although he is extremely busy these days, with composing for over ten movies the last months, some with his brother Jeff, he found some time to answer our questions. We talked about his experience at Ghent and his working process in general. MAIN TITLES: How was Ghent as an experience? MYCHAEL DANNA: At this time, I think the experience of the world soundtrack awards could only happen in Europe. There is such a great respect and appreciation for film music in Europe, which sadly does not exist in that same way in North America. So I think all of us composers that came from North America to this festival were amazed and moved at the enthusiastic welcome we were given not only by the organizers and sponsors but also by the fans of film music in Europe. 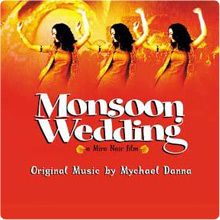 MT: At the World Soundtrack Awards, the orchestra performed 4 suites from your scores to Monsoon Wedding, Little Miss Sunshine, The Ice Storm and Being Julia. Any reasons why you chose those four? MD: Many of my scores would be very difficult to perform live. Often many of my recordings use field recordings that I’ve done on location and, thus, would be almost impossible to recreate in a live situation. These suites were hopefully from a wide range of styles from my past scores but they are also pieces that I think are very performance friendly. Obviously orchestral pieces are the easiest to perform in a situation like this, but I did want to bring in some of the non-western music influences that have been such a large part of my work. MT: How hard/easy was it to bring your music for these films to a concert? MD: This is a big question at the heart of performing film music. Can film music exist on its own without the film? Should it exist apart from the film? Obviously music written for film is incomplete without the film, however some film music does have the ability to have a life outside of its original purpose. When I’m writing music for film, I do always try to make it a complete thought within itself as well as being an integral part of the film. There are some films where that is more possible than others, so I think you end up with some scores that definitely can live in a concert hall and some that cannot. These scores were ones that I felt could make that transition. The difficulty rests in performance issues, for example using recording techniques that cannot be reproduced on a stage, and content issues, where the music is not a complete thought without the visuals that accompanied it. So I had to carefully think through which scores would be the most successful in such a different setting from which they were intended. MT: The soloists did a great performance, especially the Gamelan Orchestra in the 10 minute suite from The Ice Storm. 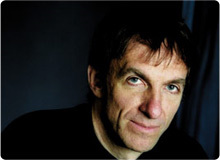 MD: I was absolutely thrilled with the performance of the gamelan group Ensemble Gending. This setting for gamelan is very different from traditional Indonesian gamelan technique and even though they are also familiar with new music for gamelan, this still was something very different for them. There is not such a thing as a standard gamelan; they are really very different from village to village. So it was really quite amazing that they were able to so closely match the recording I had made with a different ensemble. For the original recording the orchestra and the gamelan were never in the same room together so in fact this is a much more difficult performance to accomplish than we even did originally, but the orchestra and gamelan really worked together beautifully. 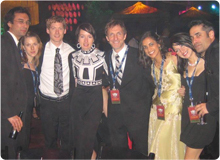 MT: What do you think of the work of your colleagues also performed that evening? It was one exotic evening. MD: Composers have a strange relationship with each other. On the one hand there is no one else on earth that can understand and share in what it is we go through day to day: the struggles to come up with ideas, our relationships with directors and film companies and so on. On the other hand, although we might not like to think about it too much we are all direct competitors of each other so it is a complicated relationship. But I can tell you that listening to the music of my colleagues was a revelation. It’s so intriguing how we each come up with such different solutions to the same problems. And in getting to know them as people especially with the help of the wonderful Belgian beer, I really did feel very close to them. MT: How did you find interaction with the fans of your music? MD: It’s very moving given the fact that we are usually part of the full film experience; to hear the applause and have the attention for the music itself is a wonderful experience. MD: It can be any of those. Certainly the ideal way is to watch the film without the temp track and feel what naturally rises from inside of you. Often I would say that a tempo is the first thing that I know. MT: One of things about your scores that's really satisfying is that there's often a very interesting idea driving the musical storytelling. In The Sweet Hereafter, your music is probably the strongest connection to the Pied Piper subtext of the film. Or The Nativity Story, by hinting to the history of the impact of Jesus on our musical celebration of Christmas, you find a way to dramatically serve the needs of each, but also have this great little musical story going on as well. (And that musical story has historical and thematic significance in a film like that.) How much of writing music for film is coming up with those 'concepts' out of which the rest of the score is spun? MD: That to me is the most important step. It’s the first thing I do before I write a note. I want to talk to the director, watch the film many times and get myself into that time and place. I think of it as a puzzle with a solution that I must work towards. I do my best work when the music is strongly conceptual. MT: Does the film itself 'tell' you what it needs? MD: Ultimately film music must serve the film that is on screen in front of you. It can’t be about anything else. So yes, the film is the final judge of your work. MT: I find it very interesting to read about extra layers and ideas that go further than the surface emotions. Can you give some examples in your music you think are important to get more background in how film music can even add more to a movie? MD: Well I think that film music has to work on the upper most level that is to say that it must feel right for the specific scene that you are watching. That should work for every person that watches the film. After that, there are deeper levels to the music, which naturally fewer people in the audience will notice, and even begin to work out the other layers of illumination that the music is giving to the film. I think we need to respect the intelligence of our audience in that way. People are much smarter than they are often given credit for in films and film music. 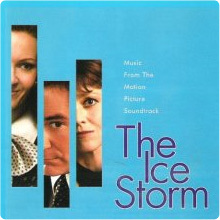 For example, the use of the gamelan in The Ice Storm just sounds right when we are looking at scenes of ice and rain. A further layer will be unravelled by some people who will know where these sounds are coming from and to what culture they refer. The people who know that may be able to put together that the gamelan comes from a culture that is very much opposite in its relation to nature than the society that we are watching in which this story takes place. That will lead to areas of thought, which are the director’s main themes for telling the story. So there exist in most of my scores these deepening levels of meaning in the score that should be able to work at any of those levels whether the listener cares to listen that deeply or not. MT: What do you do when you think the director’s musical wishes don’t match your instincts? MD: The composer’s job is to work with the director and his vision, and part of that job is selling your ideas to him. Of course you are more experienced in music than they are, so it is ultimately your responsibility to make the best musical work you can. MT: Have you ever had to change direction in your approach to music for a film? MD: Many times. It’s the painful process of writing: whether music or literature or poetry, there are lots of crumpled up pieces of paper in writer’s garbage cans! MT: Fracture and Tideland are two recent score you composed together with your brother Jeff. Do your styles influence each other during working on the same project? Does that also affect your own style in solo projects? I always found that Jeff’s beautiful score for The Gospel of John had some stylings of one of my favourites of yours, Ararat. MD: Being brothers, Jeff and I have been making music together for a very long time. In that way it doesn’t feel unnatural and in some ways it doesn’t even feel that different from writing music on my own. The one exception is that it is just a lot more fun to work with someone else since composing can be a very lonely experience. Definitely we have both influenced each other in many ways. I think Jeff’s score for The Gospel of John is brilliant work and I certainly had listened to it before writing Ararat, so perhaps there is some stylistic influence there. 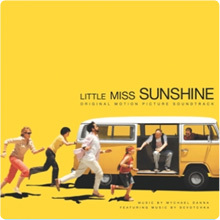 MT: How does the process of film scoring differ in a situation like Little Miss Sunshine, where you're writing to the strengths and/or limitations of a specific ensemble? MD: I think limitations make your work much easier in some ways. It’s the infinity of choice that is the most terrifying when you are beginning the writing process. The Little Miss Sunshine experience was a great one because I actually knew the people and personalities of the players of the instruments for which I was writing. It helped me imagine exactly how it was going to sound when it was performed. Thanks a lot to Mychael Danna and Amritha Fernandes. Bregt De Lange and Michael McLennan.